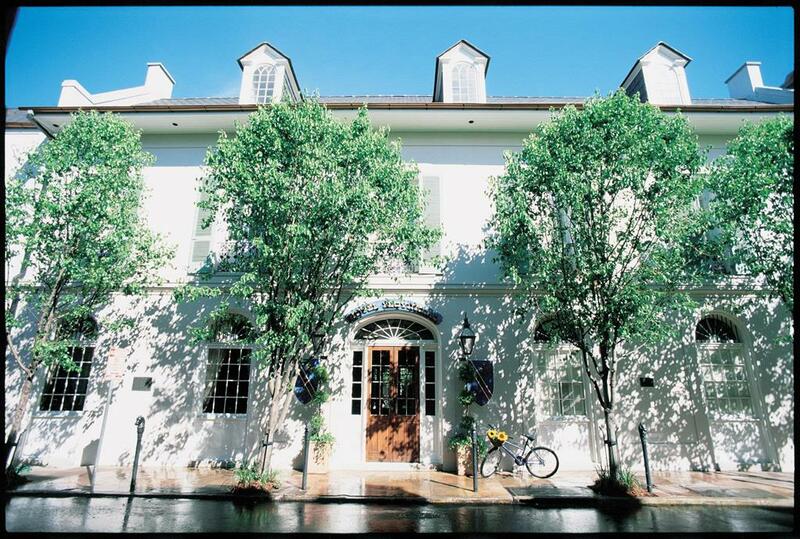 Bienville House is an historic 83 room manor style hotel with four landscaped terraces and a tropical flagstone courtyard. Several guestrooms feature a wrought-iron balcony. The hotel is within walking distance of Bourbon Street, Jackson Square, Aquarium of the Americas and Cafe du Monde. Bourbon Orleans, located directly behind St. Louis Cathedral spans one block of French Quarter. This location provides direct access to Royal Street shopping, Jackson Square, Cafe du Monde and Bourbon Street. 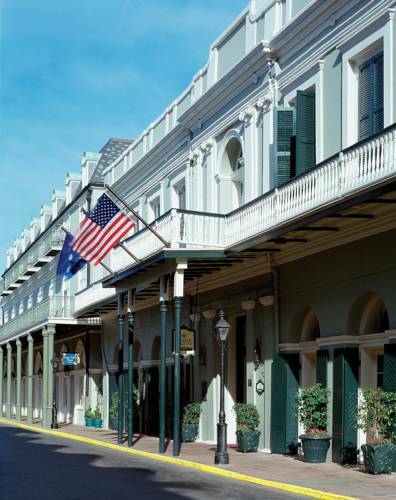 The hotel contains New Orleans' oldest and grandest ballroom, dating back to the 19th century. The lobby features a grand spiral staircase, Queen Anne furniture, chandeliers, and columns and is a venue of choice for celebrations. Step back in time at Holiday Inn's Chateau Lemoyne. The historical architecture and secluded courtyard setting provide an ambiance that transports guest to days gone by. 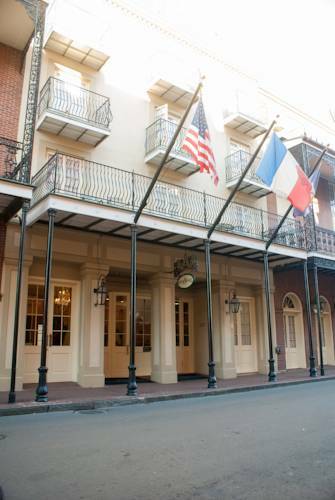 Chateau Lemoyne is located steps away from historic Bourbon Street. 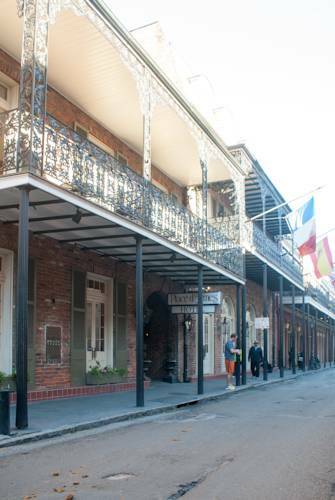 Dauphine Orleans, located one block from Bourbon Street, dates back as far as 1775. From 1821 to 1822, John James Audubon painted Birds of America in what is now the Audubon Room. Service at Audubon Cottages include a dedicated on site butler. The property includes Hermann House, formerly the home of Samuel Hermann. 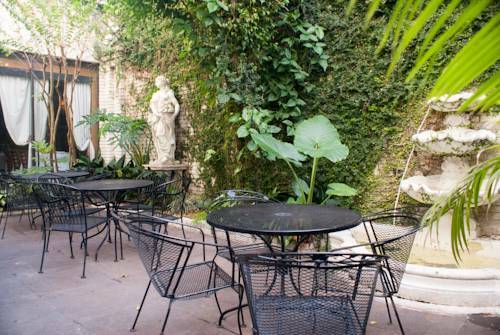 This hotel also features a palm decorated courtyard and a bar located in what was once a Storyville well known bordello. 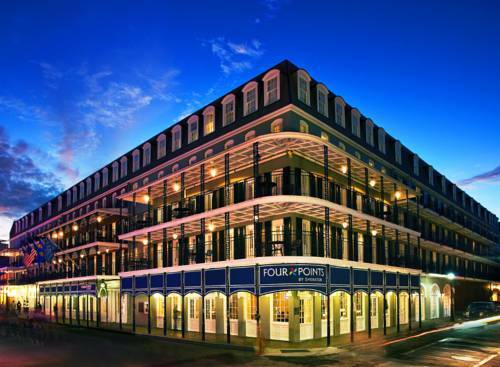 Four Points by Sheraton French Quarter, located in the heart of French Quarter at the intersection of Bourbon and Toulouse streets, is where the French Quarter action is. 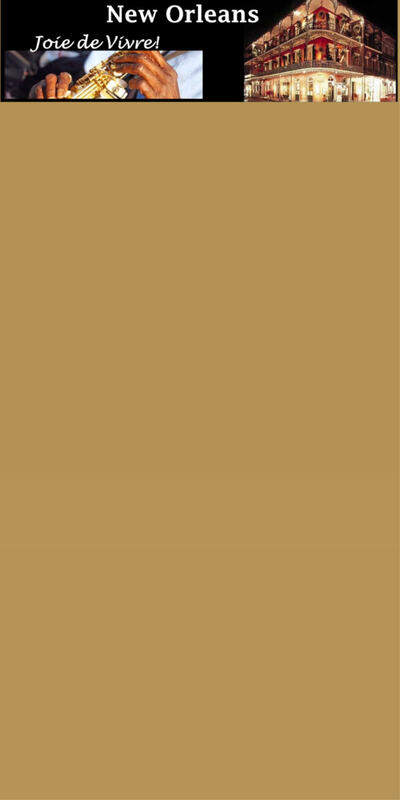 Enjoy jazz music, authentic Louisiana cuisine, shopping and of course the parades - all a part of the "Joie de vivre" experience. 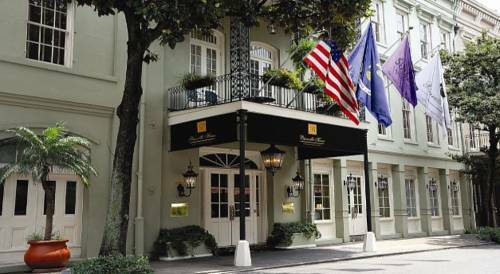 Hotel Le Marais is an upscale boutique hotel located in the heart of French Quarter between Bourbon and Royal streets. This location offers convenience to French Quarter shopping and nightlife. It features VIVE, a bar that overlooks a courtyard with a saltwater pool. Hotel Mazarin is the former Saint Louis Hotel. It is located one half block from the jazz venues and shopping that is available on Royal Street and one half block from the nightlife of Bourbon Street. 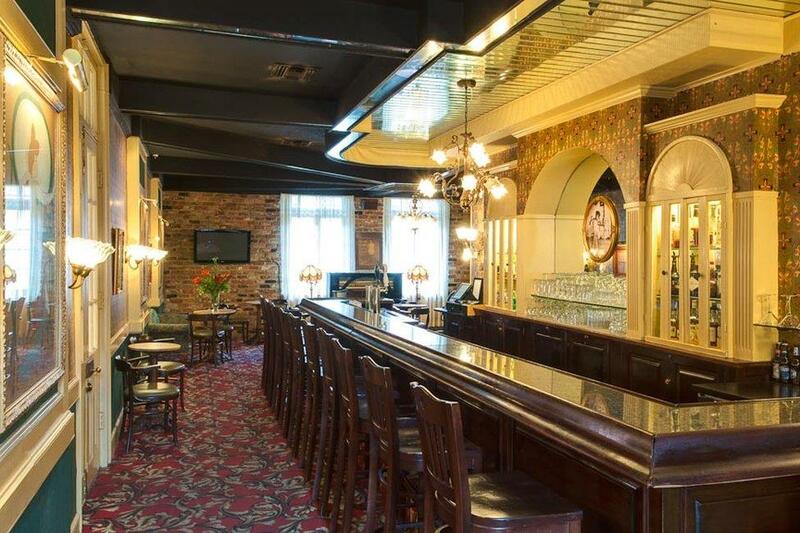 This luxury hotel features French Quarter's only wine bar, Patrick's Bar Vin, that offers wines from around the world. Spa Laje offers in-room services. 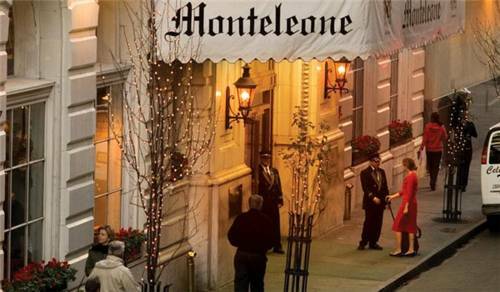 Hotel Monteleone is the Vieux Carre premier Downtown New Orleans hotel. 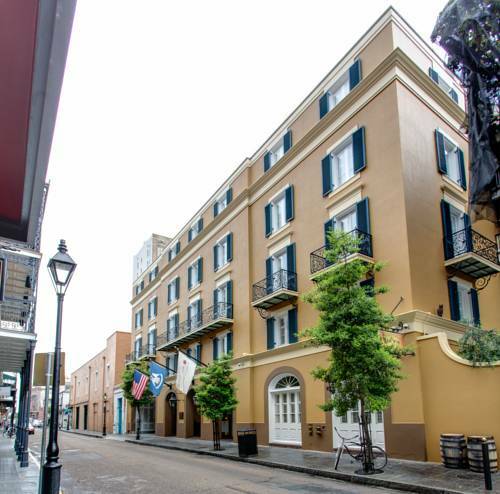 A 600 room, 55 suite luxury hotel on Royal Street in French Quarter, it was established in 1886, when Italian immigrant Antonio Monteleone purchased the 64-room Commercial Hotel. In addition to guestrooms, this hotel features, ballrooms, dining rooms, cocktail lounges, swimming pools and a Sky Terrace. Hotel Provincial is located in the residential section of Vieux Carre. It includes guestsroom and suites some of which overlook the Mississippi River and others that feature a balcony overlooking the courtyard and pool area. 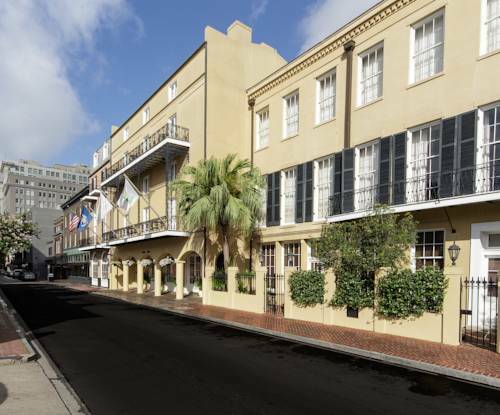 Hotel Royal is a a newly renovated 1827 Creole Townhouse located on Royal Street, one block from Bourbon Street. Guests enjoy beautifully renovated guest rooms and suites with modern amenities, as well as personal attention from hotel staff. 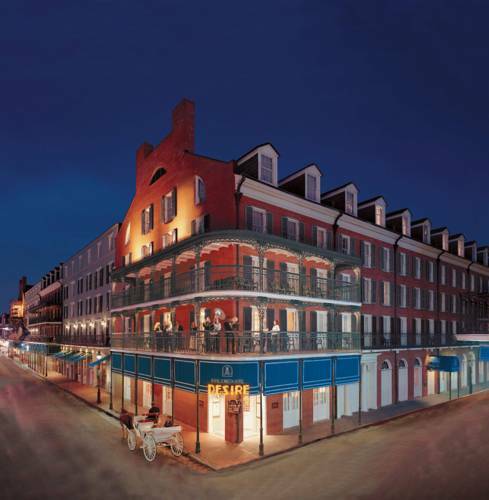 Hotel St. Marie features guestrooms that overlook French Quarter. Other guestrooms overlook the hotel's tropical courtyard. Guests dine at Vacherie Restaurant, which serves authentic Cajun cuisine. Maison Dupuy is located within the Old Square - Vieux Carre's original seven square blocks along the Mississippi River - the residential section of French Quarter. This hotel was formed by joining 5 neighboring townhouses. 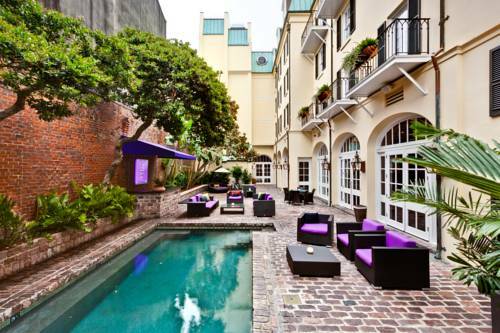 Their brick edifices of those townhouses form the Vieux Carre's largest private and most beautiful intimate courtyard. The centerpiece of this courtyard is a 3-tiered marble fountain. Guests dine at Bistreaux which serves Creole and American cuisine. 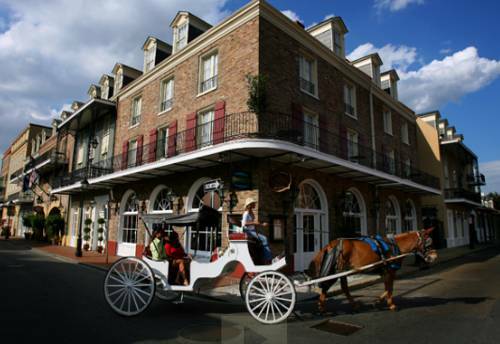 This prominent French Quarter landmark hotel offers guests an "Authentic French Quarter Experience". Historic Place D Armes Hotel located at Jackson Square, consists of eight 18th and 19th century townhouses that surround tropical courtyards and fountains. There are 84 guestrooms and 24-hour concierge service. The hotel's Valentino-Conti House is a meeting venue that accommodates up to 200 guests. Place D Armes is steps away from St Louis Cathedral. Prince Conti Hotel is a 76 guestroom hotel in housed in a 19th century building that features a signature carriageway. The Bombay Club serves award winning Nouveau Creole cuisine. This hotel is located steps away from Bourbon Street. 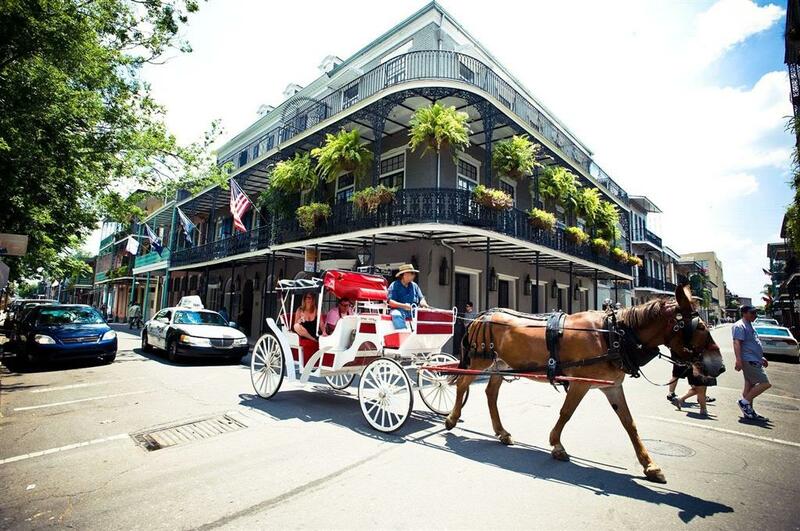 Called the Jewel of the French Quarter, Royal Sonesta is located on Bourbon Street, two blocks from Canal Street. This luxury hotel features 483 guestrooms and suites, tropical courtyards and gardens. Guests dine at Restaurant R'Evolution that serves Cajun and Creole cuisine, Desire Bistro & Oyster Bar as well as PJ's Coffee Cafe. Irvin Mayfield's Jazz Playhouse features live Jazz seven nights per week.